Liaison to: Biology, Business, Chemistry, Pharmacy, Physical Therapy, Physician Assistant and QEP. Schedule Appointment David Bryden is the Director of Library Services and has been with High Point University since 1991. He has an undergraduate degree in Asian Studies from Guilford College and a Master’s in Library Science from University of North Carolina at Greensboro. 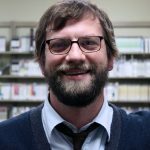 Prior to finishing his degree, David was a small business owner; he currently teaches as an adjunct in the UNC Greensboro library school. Reference, Circulation, Technical Services Brian Carter is a Late Night Library Supervisor and has been with High Point University since 2012. He has an undergraduate degree in English from the University of North Carolina at Chapel Hill and a Master’s in Library and Information Sciences from the University of North Carolina at Greensboro. Liaison to: Anthropology, Criminal Justice, English, Human Relations, Nonprofit Studies, Psychology, Sociology and Women’s and Gender Studies. Jenny Erdmann is the Head of Library Reference Services beginning in fall, 2016. She has undergraduate degrees in International Relations and Music from Salem College, and a Master’s in Library Science from Indiana University. Jenny continues to play viola and pursues interests in instrumental music, foodways, place studies, geopolitics, and government information. Liaison to: Fine Arts, Interior & Graphic Design and Music. 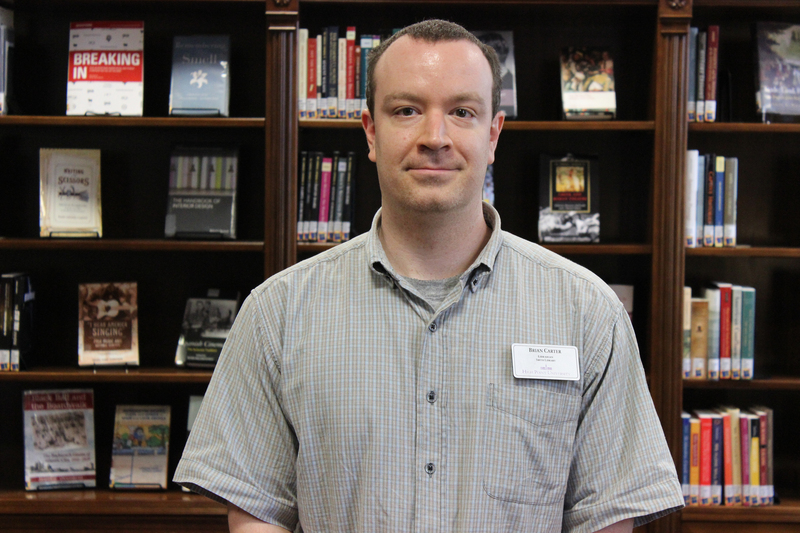 Andrew Fair is an Evening Reference Librarian and has been with High Point University since 2012. He was the recipient of a Morehead Scholarship and has an undergraduate degree in Radio, Television and Motion Pictures from University of North Carolina at Chapel Hill and a Master’s in Library and Information Science from the University of North Carolina at Greensboro. 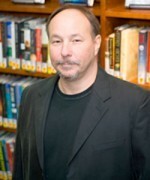 He teaches Freshman Writing Studio, and is the library team coordinator for the Freshman Success Leadership Team. Liaison to: Exercise Science, History, Geography, Modern Foreign Language, Religion and Philosophy. 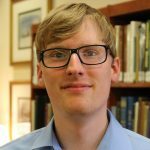 Robert Fitzgerald is the Interlibrary Loan and Reference Librarian at Smith Library and has been with High Point University since 2007. He has a an undergraduate degree in Fine Arts from UNC Asheville and a Master’s in Library and Information Studies from University of North Carolina at Greensboro. Megan Franks is a Late Night Library Supervisor, beginning in the Fall of 2017. They have an undergraduate degree in Psychology from Wake Forest University, and a Master's in Library and Information Sciences from the University of North Carolina at Greensboro. Technical Services and Systems, Cataloging and Collections Alexandra Frey is the Head of Technical Services; she has been with High Point University since 2013. She has an undergraduate degree in Liberal Arts with a focus on Literature and a Master’s in Library and Information Studies from University of North Carolina at Greensboro. Prior to coming to HPU, Alex lived abroad for two years and was an advertising executive in New York. School of Education, Reference, Circulation Pam Grubb is the School of Education Library Supervisor. 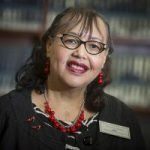 She joined the HPU Library Staff in the fall of 2016 after retiring from education as a School Library Media Coordinator. 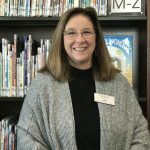 She has an undergraduate degree in Educational Media from Appalachian State University and a Masters of Library Science from University of North Carolina at Greensboro. Acquisitions, Purchasing Karen Harbin is the Acquisitions Librarian and has been with High Point University since 1980. She has an undergraduate degree in Studio Art and Interior Design from HPU. Karen’s hobbies are playing with her retriever Sassy and cat Madison, horseback riding, and renovating her home in the North Carolina Mountains. Film, Media, Multimedia Design, Digital Resources Josh Harris is our Media Supervisor and has been with High Point University since 2014. He has an undergraduate degree in Motion Picture Studies from Western Carolina University and an MFA in Documentary Film from Wake Forest University. Liaison to: Communication Grad, Education Grad, Computer Science, Education, FYS, Mathematics and Physics. 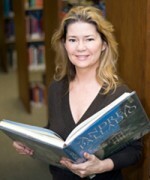 Leanne Jernigan is the Wanek Center Librarian and has been with High Point University since 2011. She has an undergraduate degree in English with minors in history and philosophy and a Master’s in Library and Information Studies from University of North Carolina at Greensboro. Leanne is an NCLA and Phi Beta Kappa member; her areas of expertise include children's literature and virtual reference. Technical Services, Reference Terah Kelleher is our Technical Services Assistant and started with us in January 2019. She has an undergraduate in Health Science and English from Guilford College. She received her Master's of Library & Information Science degree from the University of North Carolina at Greensboro in 2018. Terah has also been a licensed massage and bodywork therapist since 2003 and enjoys body wellness and self-care education. Media, Multimedia Design, Digital Resources Chelene Marion is the Media Services Assistant and has been with High Point University since 2016. Chelene graduated from HPU in 2015 with a B.A. in Graphic Design. 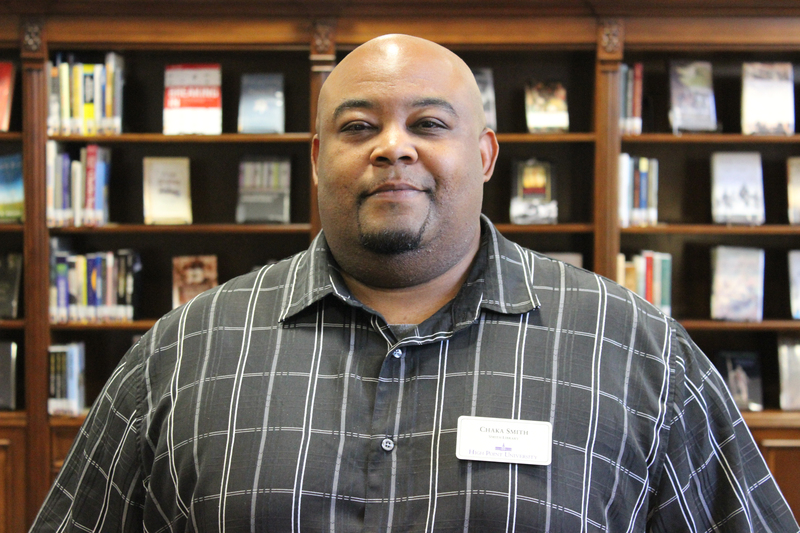 Reference, Circulation, Instruction Trae Middlebrooks is a Late Night Library Supervisor and has been with High Point University since 2010. 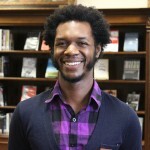 He has an undergraduate degree in Psychology from Guilford College, a Master’s in Peace and Conflict Studies, and a Master’s in Library and Information Studies from University of North Carolina at Greensboro. Prior to entering the library world, Trae worked in a community support agency as an intake specialist. 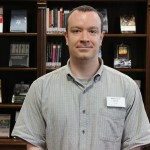 Liaison to: Theater, Dance Bryan Nicholls is an Interlibrary loan assistant and Weekend Library Supervisor at HPU. Bryan Has been with HPU since Spring of 2016. He has an undergraduate degree in Philosophy and Religion from Western Carolina University and a Master of Arts in Education in School Counseling, also from Western Carolina University. 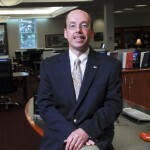 He also holds a Master's of Library and Information Studies from the University of North Carolina at Greensboro. Bryan is very excited to be working at HPU with such great people! 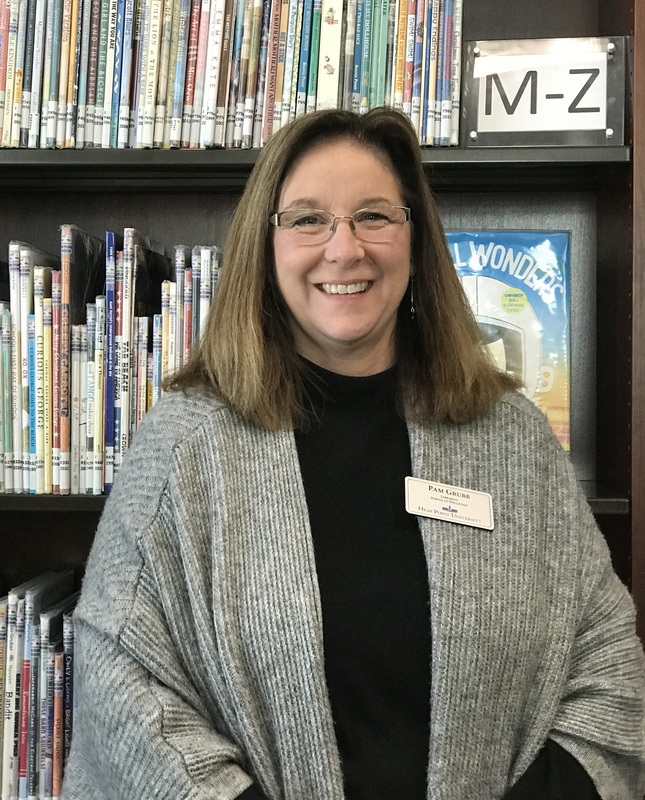 Melinda Pennington is an Evening Library Supervisor. Melinda graduated with a B.A. in Psychology and Minor in Public Administration from East Carolina University, and a Master of Library and Information Studies from UNC-Greensboro. 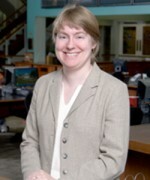 Her professional career has included working in a newspaper library, public libraries, and school libraries. She is a National Board certified teacher in Library/Media and also certified to teach English/Language Arts. Laura Silva is a Late Night Library Supervisor. 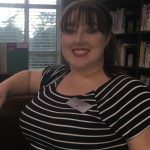 She has a Bachelor of Social Work from the University of North Carolina at Greensboro and is completing a Master's in Library Science this May. 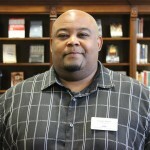 Chaka A. Smith is an Evening and Weekend Library Supervisor and has been with High Point since 2010. He has an undergraduate degree in History from HPU and is working on his Master’s degree in History and his Middle and High school history certification. Chaka is a volunteer for Special Olympics of Forsyth County and co owns a small business. Reference, Circulation Sarah Taylor is Weekend Library Supervisor, starting in Fall 2016. She has an undergraduate degree in History with a minor in English from UNCG, a master's in History with a concentration in Public History from ECU, and an MLIS from UNCG. Technical Services, Periodicals Sheri Teleha is the Cataloging / Serials Librarian and she has been with High Point University since 1999. She has an undergraduate degree in English with a minor in religion from The College of Wooster in Ohio and a Master’s degree in library science from Kent State University. She met her husband in library school while they were both graduate reference assistants. In her spare time Sheri enjoys cooking and baking and spending time with her husband and daughter. Circulation, Reserves, Student Workers La-Nita Williams is the Head of Circulation and has been with High Point University since 1987. She has an undergraduate degree in English from University of North Carolina at Greensboro. La-Nita has been the advisor of Black Cultural Awareness organization since 1990 and has been the Region 3 Director for the NCLPA. She oversees the hiring of student workers for the library. She is a dog lover and horror film fan.